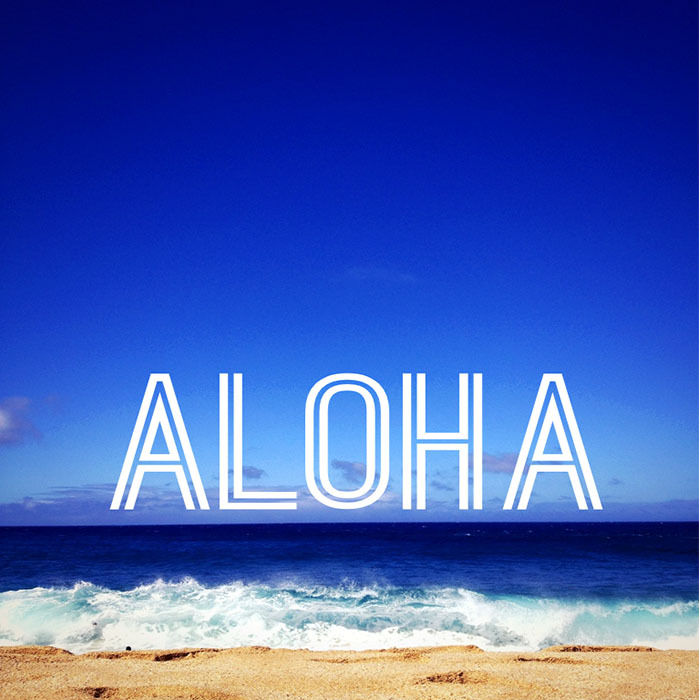 On Friday, I spent some time researching online daydreaming about our upcoming trip to Hawaii. My brother-in-law and sister-in-law live there so I have not had the pressure of really planning our trip. My biggest worry is getting myself and all three kids packed. I would like everyone to carry on their baggage but I am not sure if that will happen. As you are reading this, we will be en route so please send some prayers or good vibes. It is a long flight and with three kids in tow, a little daunting. I am excited to share the details of our trip so be sure to check back over the next couple of weeks. 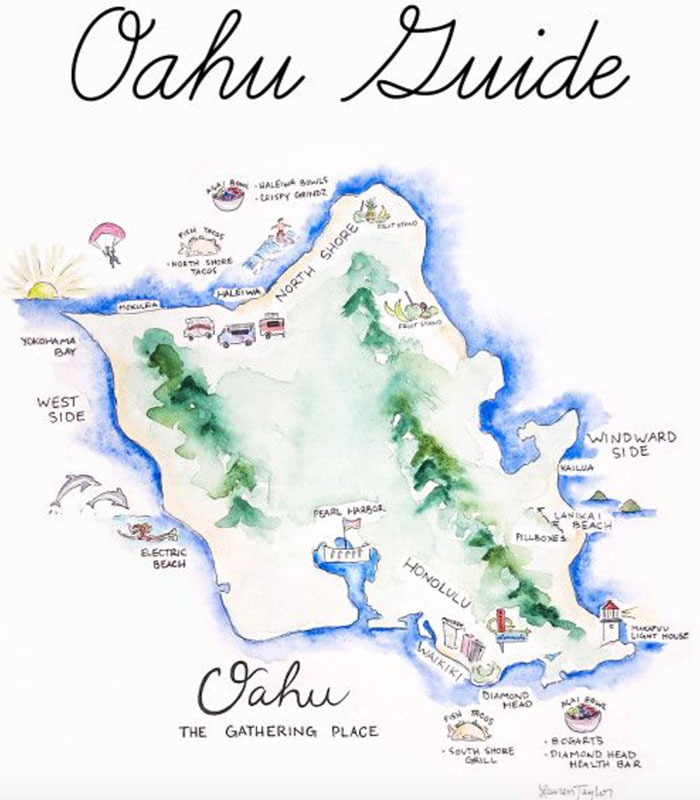 If you have been to Oahu, I would love for you to leave a comment and share advice or spots that are not to be missed. I love this map by Lauren Taylor of Lauren Taylor Creates. My husband and I celebrated our 20th wedding anniversary on an Hawaiian Cruise! We loved visiting all the islands! Enjoy your trip! Thank you! We just arrived and are so happy to be here!